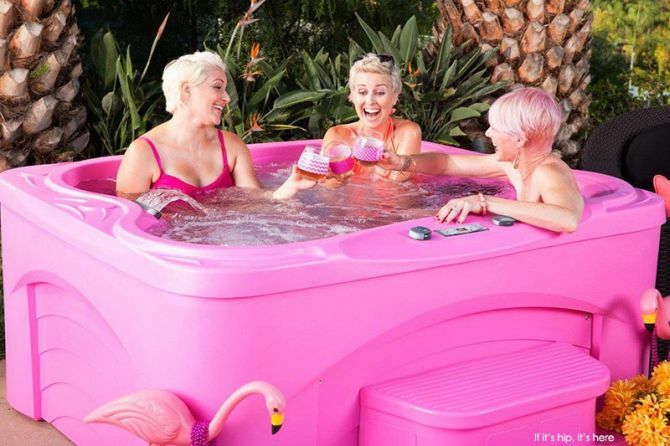 These fun and relaxing hot tubs are designed to meet latest pink parties trend that’s becoming popular among women from all over the world. The special edition pink Cascina hot tub boasts a luxurious compact design to fit into any garden or backyard spaces, allowing you to unwind in an open atmosphere. Measuring 178 x 158 x 84 cm and with 864-liters water capacity, the hot but can easily accommodate four adults to enjoy aquatic therapy together. The spas are integrated with 17 jets attached to stainless steel trim for soothing hydromassage and peaceful waterfall like feel to the body. 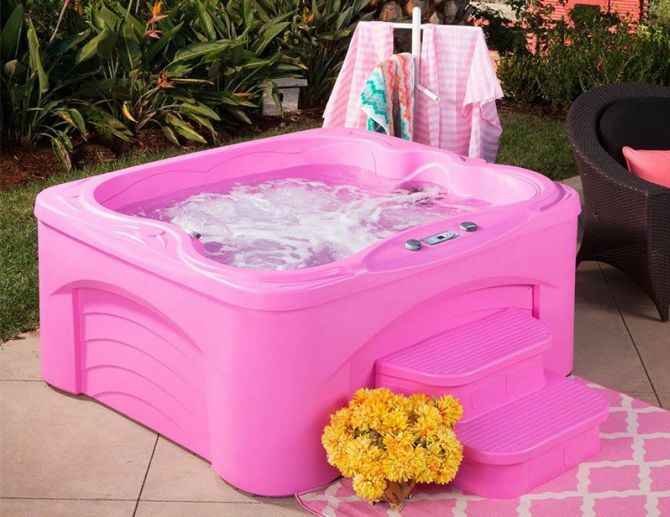 The hot pink spas are fully-insulated, so all you need to do is fill it with water, turn the hot tub on and just forget about adjusting temperature constantly. These hot tubs can easily plug into any standard 110V outlet, without any additional wiring. 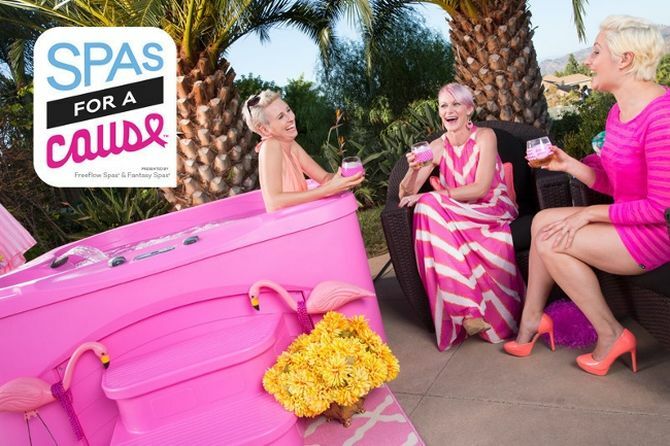 So, you can call up your girly gang for enjoying spa time together over some latest buzz. Meanwhile, you can proudly tell your friends that you purchased this stunning Jacuzzi to support a noble cause. To get your hands on these plug-n-play pink hot tubs, you can visit showrooms in Fareham, Southampton, Bournemouth and Worthing . But, be quick as only four of these limited edition hot tubs are available for sale.